Ένα ακόμα παιχνίδι Yakuza είναι καθοδόν. Αυτή τη φορά μιλάμε για το Yakuza Kiwami 2, το οποίο είναι remake του Yakuza 2 που πρωτοβγήκε 2008 στο PS2. Όπως ανακοίνωσε η Sega, το Yakuza Kiwami 2 κυκλοφορεί 28 Αυγούστου στο PS4. To παιχνίδι διαθέτει μεταξύ άλλων βελτιωμένα γραφικά, νέο campaign με τον Goro Majima, νέα mini-games και περισσότερα heat actions. Δείτε παρακάτω επίσημα χαρακτηριστικά και trailer και πείτε μας αν σας ενδιαφέρει! • Dragons Belong on the Dragon Engine - Yakuza Kiwami 2 is a re-creation of the original Yakuza 2, completely rebuilt in the Dragon Engine, the same engine used in developing Yakuza 6: The Song of Life. Experience gorgeous graphics on top of seamless transitions between battles or when entering or leaving buildings. All cutscenes and key voiced lines have been re-recorded to be as true to the original as possible, while reaping the benefits of the most powerful engine the Yakuza series has ever seen. 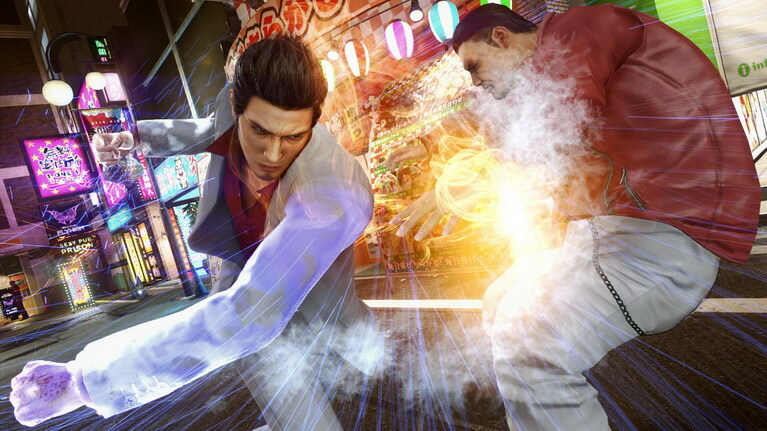 • Big Hits, Minigames - Kiryu hasn't let his time away from the front lines dull his skills in combat or leisure. Pull off a wide variety of brutal (and hilarious) Heat Actions, and challenge new minigames such as Golf Bingo, the original arcade release of Virtual-On, the return of Yakuza 0's much-celebrated Cabaret (including the return of fan-favorite Yuki! ), Majima's revamped Clan Creator, and even SEGA's infamous Toylets! • Unveil the Truth of Goro Majima - This time around, Kiryu isn't the only one running the show - fans of the Mad Dog of Shimano won't want to miss this new Majima-centric campaign, which features Majima as a playable character, complete with his trusty dagger, and sheds light on his personal journey from the end of Yakuza Kiwami up to Yakuza Kiwami 2. • Extreme Localization - We've gone through the Yakuza Kiwami 2 script with a fine-toothed comb; every effort has been made to ensure that it's the most faithful representation of the original Japanese. SEGA is committed to supporting the best Yakuza experience possible for the series' dedicated fans around the world.